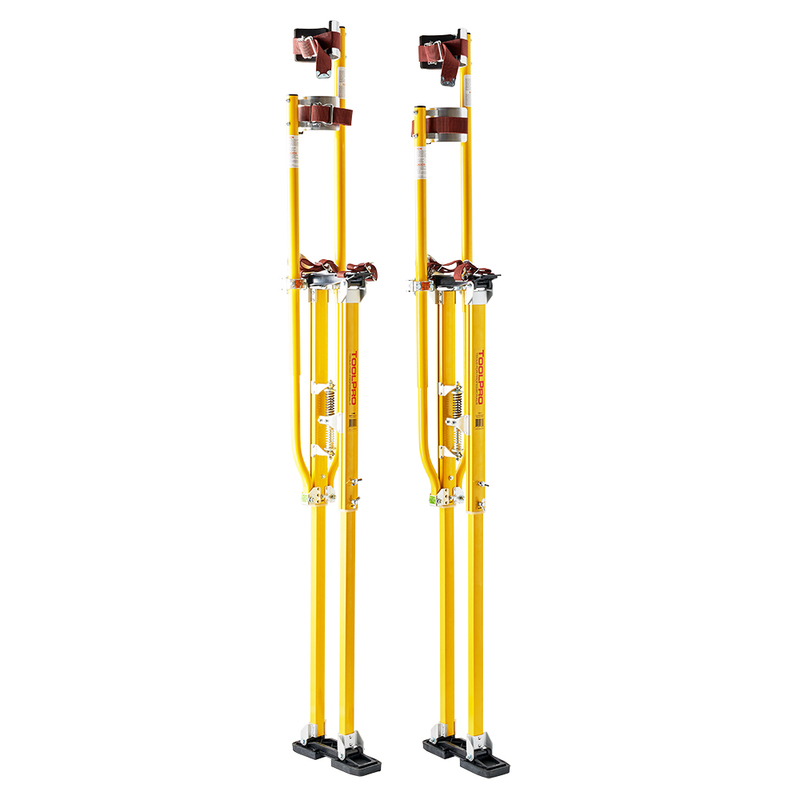 Reach up to 12 ft. from the ground with ease; these are the tallest stilts you can buy. 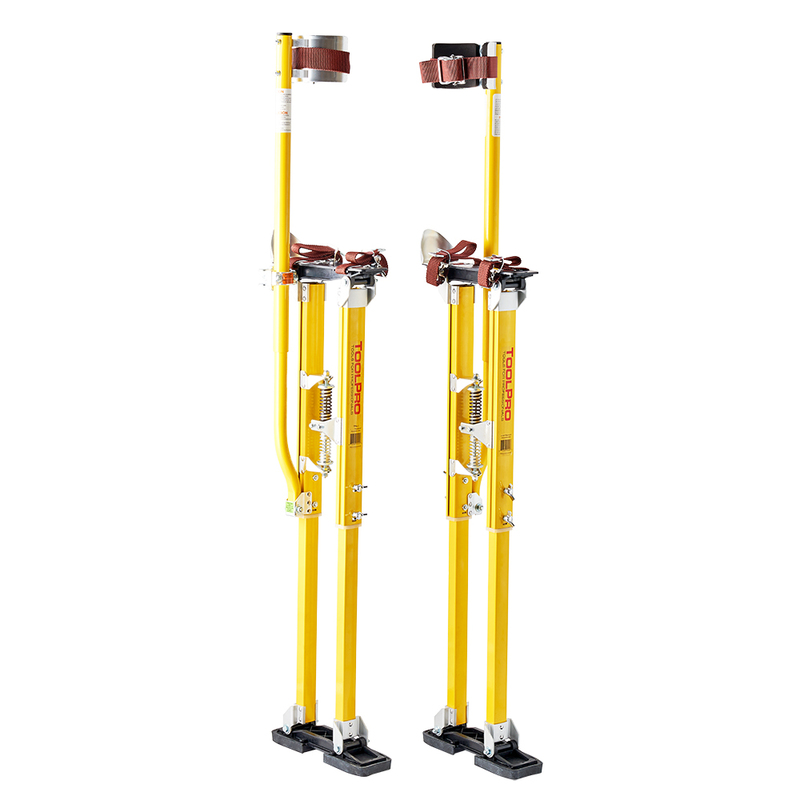 Their magnesium construction keeps them lighter than a standard aluminum stilt yet every bit as strong. 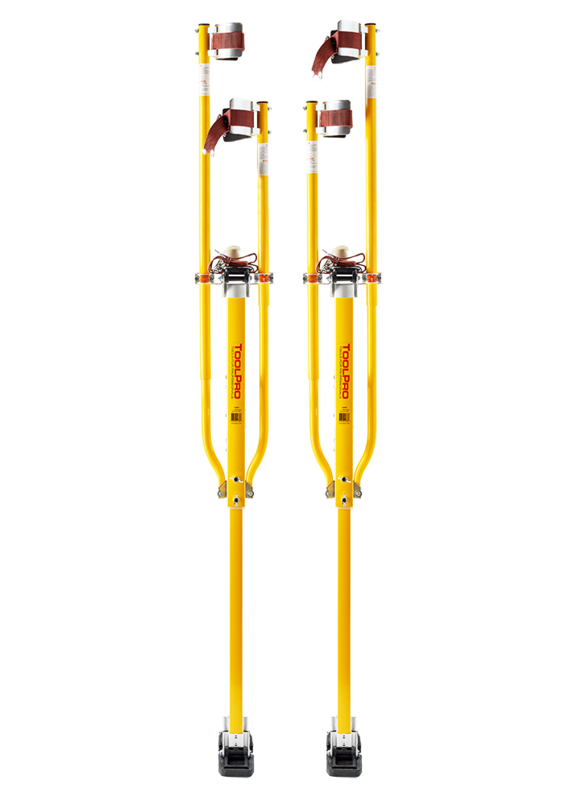 They are perfect for any work up high such as drywall, ceiling installation, painting, trim and electrical. 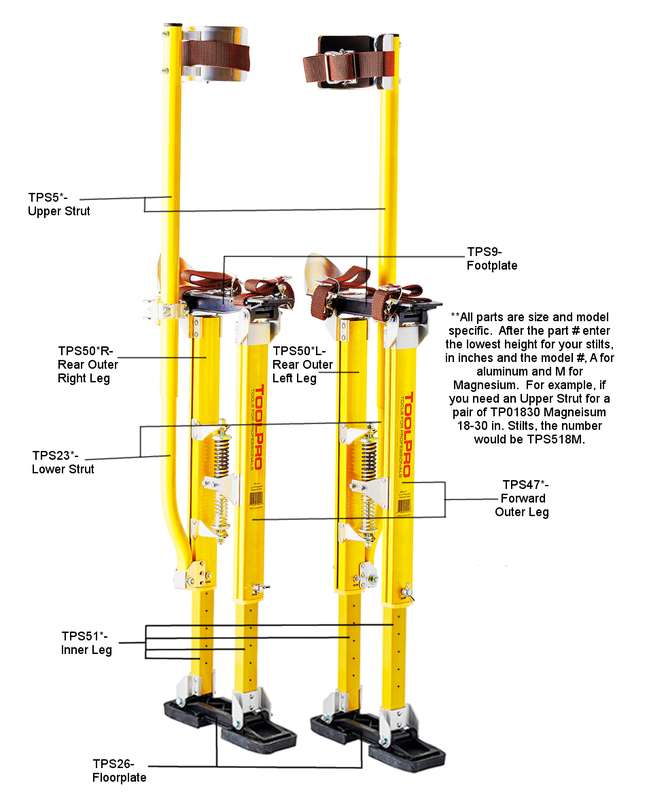 They allow you to work without ladders or scaffolds and are the ultimate in mobility. All repair parts are available and field replaceable. Adjustable height from 48 in. to 64 in. 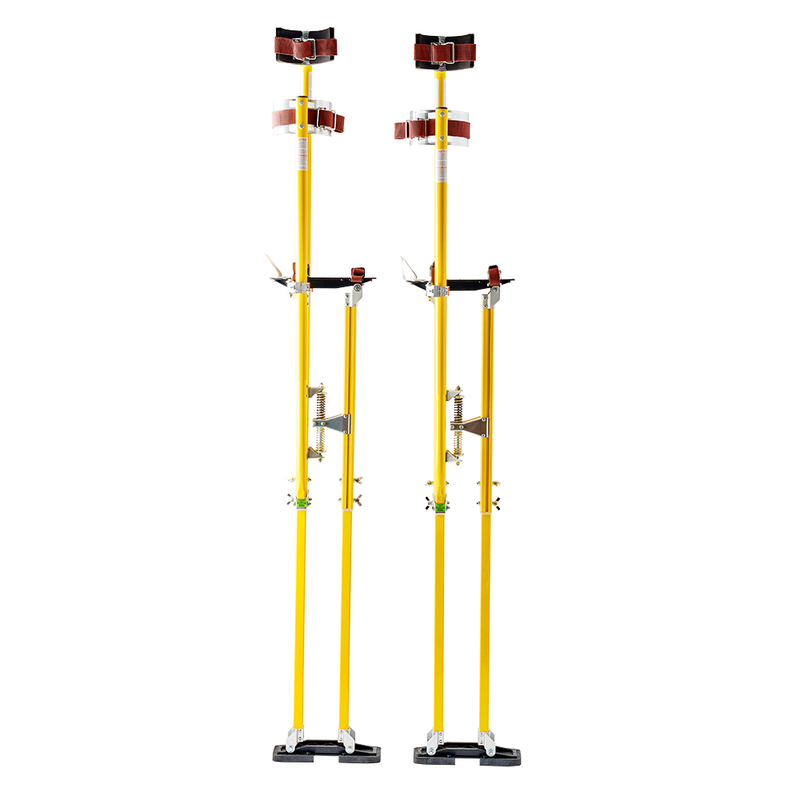 Dual Wingnuts and dual calf braces on each leg for added support and stability. Padded calf braces and dual spring action. Heavy duty reinforced rubber soles for long life. All repair parts are available and field replaceable. Guaranteed free of defects in material or workmanship.